FAST AND ABSTINENCE FOR LENT: Ash Wednesday is a day of fast and abstinence; as is Good Friday. On those days you may not substitute acts of charity or piety in place of abstinence. Normally, Fridays of the year are days of abstinence from meat, but Catholics may substitute special acts of piety or charity. The requirement to fast binds those from 18 to 59 years of age. Abstinence (no flesh meat allowed) binds those 14 years old and up). 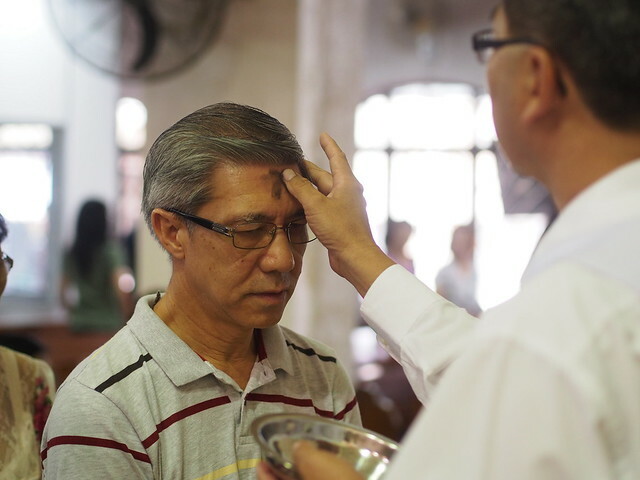 There will be Mass at 8:30am and 7:00pm on Ash Wednesday. LENTEN DEVOTIONS – STATIONS OF THE CROSS – Every Friday at 7:30 pm with Mass at 7 pm. FIRST FRIDAY – MARCH 3, 2017 – Adoration all day from 9 am to 7 pm. Mass at 7 pm. Please sign up on the sheet in the entrance of the church.